Though it’s provided little in the way of details, the Ford government has argued Bill 66 is needed to make Ontario more competitive by cutting red tape, promoting deregulation and signalling the province is open for business. Such assertions were challenged by Sam Nabi of Hold the Line, a group that promotes the Region of Waterloo’s countryside line that separates the urban and rural areas in the name of reducing sprawl and protecting farmland. The group holds an annual music festival in support of the cause. “The problem with Section 10 is that generally we don’t need it. Here in Waterloo Region, unemployment fell since we’ve adopted our growth management strategy in 2003. 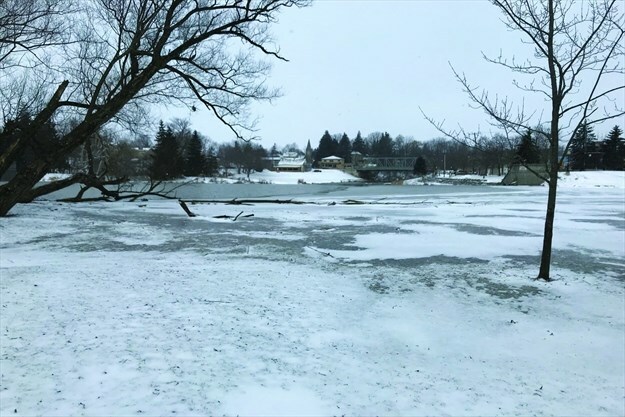 It is a very well thought out and collaborative document that sets out ‘These are the rural areas that we’re going to protect,’” he told Wellesley council. Protection of rivers, groundwater are risks, according to politicians, advocates. Sam Nabi, president of Hold of Line, a nonprofit organization that consists of Waterloo Region enthusiasts and sustainability advocates, is firmly against the components of Schedule 10, and he was very happy with the positive reaction from local politicians. The region also reaffirmed its support of the countryside line, as well as public consultation prior to land use planning, which in turn helps protect natural areas, source water and farmland. Hold the Line and Nith Valley Ecoboosters presented at the Region of Waterloo council meeting and the Wellesley Township meeting. "Hold the Line" returns for the second time on Friday, Sept. 7 and Saturday, Sept. 8. There's nothing else quite like this "cycling and music festival" on the local cultural calendar. The central theme is celebrating Waterloo Region's "Countryside Line." This is the boundary set to protect our rural areas from urban sprawl that has been a central element in the region's official plan since 2005. The organizers are a circle of young "artists, community builders, sustainability advocates, and Waterloo Region enthusiasts" who, in their own words, "love the farms, towns, and natural spaces that make up our countryside, and the walkable shops and restaurants that make our downtown cores exciting places to work and play." The setting this year is Fertile Ground, a small organic farm in St. Agatha, and two cycling routes: one circumnavigates the full 126 kilometres of the main line; the other is a 30-km route along the Wellesley line (the Waterloo Countryside Line actually includes six separate growth boundaries). In addition to the cycling rides, there are evening campfire sessions, stage performances, workshops, and local food and drink. Everything is family-friendly, and you can even stay the night (the $10 camping fee includes pancake breakfast). A local group wants to keep Waterloo Region's countryside line top of mind in advance of the municipal elections this fall. Hold the Line and several of the candidates have been very active on social media since the nomination deadline for candidates closed on Friday. "We're not bringing this up as an issue because we think we're going to elect a council full of people that want to bulldoze the countryside." said Sam Nabi, one of the organizers with Hold the Line. "It's more of a reminder, and also looking forward in the next four years." he added. "There's a good chance we might have another challenge to the line...we just want to make sure that residents know this is a thing worth protecting, and also that the politicians are aware that a lot of people care about it." Nabi told KitchenerToday. The countryside line was created back in 2003. Back before they built a roundabout at the intersection of Erb Street and Erbsville Road, before the commercial plazas and townhouses, this part of Waterloo wasn’t a part of town at all, but a hamlet called Rummelhardt. In 1986, this was the western edge of the city, and Fred Martin wanted to keep it that way. “We had a fairly good garden there, we had some livestock, we had some chickens and pigs, we made apple cider. It was more of a life skills learning thing. Save a bit of money and understand how to butcher a chicken,” Martin said. Martin and his housemates were students at the University of Waterloo. They lived on a 2.5 acre farmhouse property that had a weathered barn and a grain silo with a missing roof. 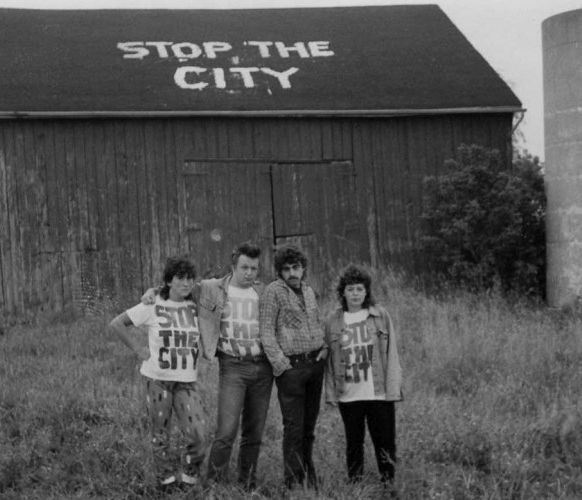 They painted the words “STOP THE CITY” on the barn’s roof in bright white letters. It was their response to the relentless creep of suburban sprawl at their doorstep. Say hello to the first annual, Hold the Line Festival! A festival filled with cycling, music, and a very special initiative: celebrating Waterloo Region’s Countryside Line. But wait, what’s the Countryside Line? We’re glad you asked. The Countryside Line is the protected perimeter of our region – it defines where our urban city ends and our rural farmland begins. Protecting our farmlands from the potential harm of our urban city means sustaining resources for all current and future generations. Inteview with Alex Szaflarska and Sean Campbell of Hold the Line at the 20 minute mark. Sam Nabi, left, Alex Szaflarska and Sean Campbell's new cycling and folk music festival will celebrate the region's countryside line and protect farmlands by encouraging a lifestyle that includes biking to St. Jacobs for fresh flowers. There are festivals celebrating pretty much everything, from beer to vintage cars, but it's not every day you hear of a festival that celebrates an urban planning policy. But that's exactly what a new local festival, called Hold the Line, intends to do. It's a cycling and folk music festival taking place Sept. 16 in St. Jacobs that celebrates the Region of Waterloo's countryside line. The region introduced the countryside line in 2009 as a way to control development and urban sprawl. The line contains future growth within the region's urban areas, to protect farmland and sensitive natural areas such as wetlands and groundwater recharge areas from development.